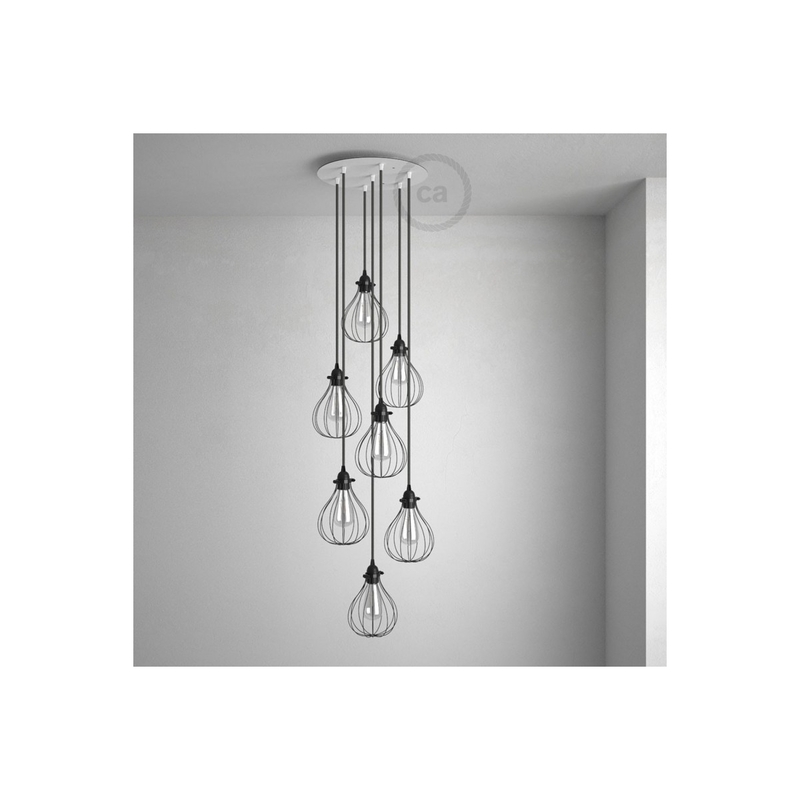 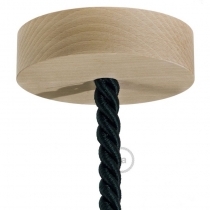 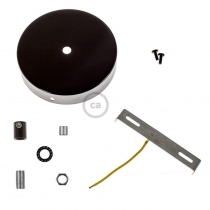 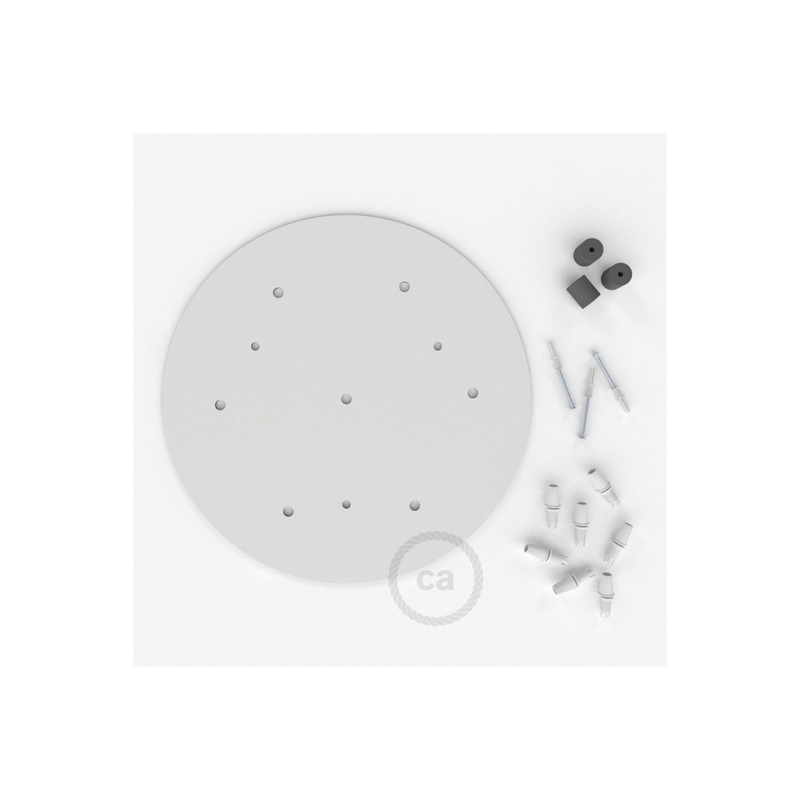 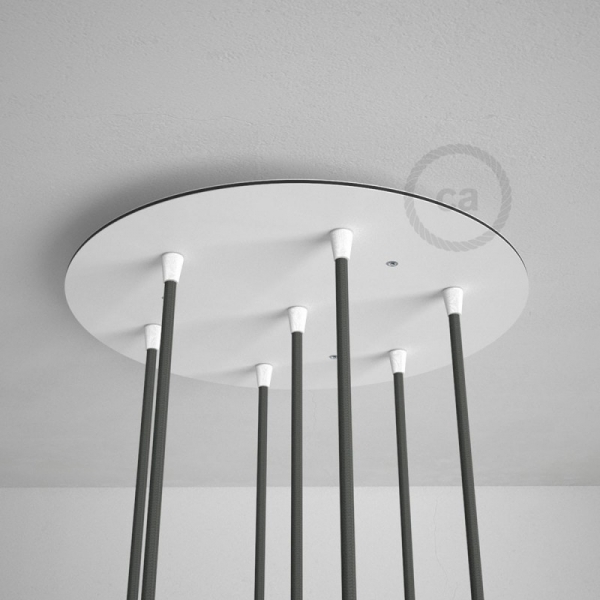 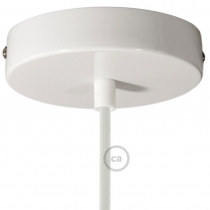 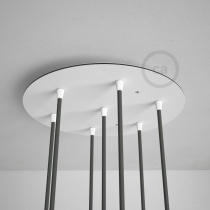 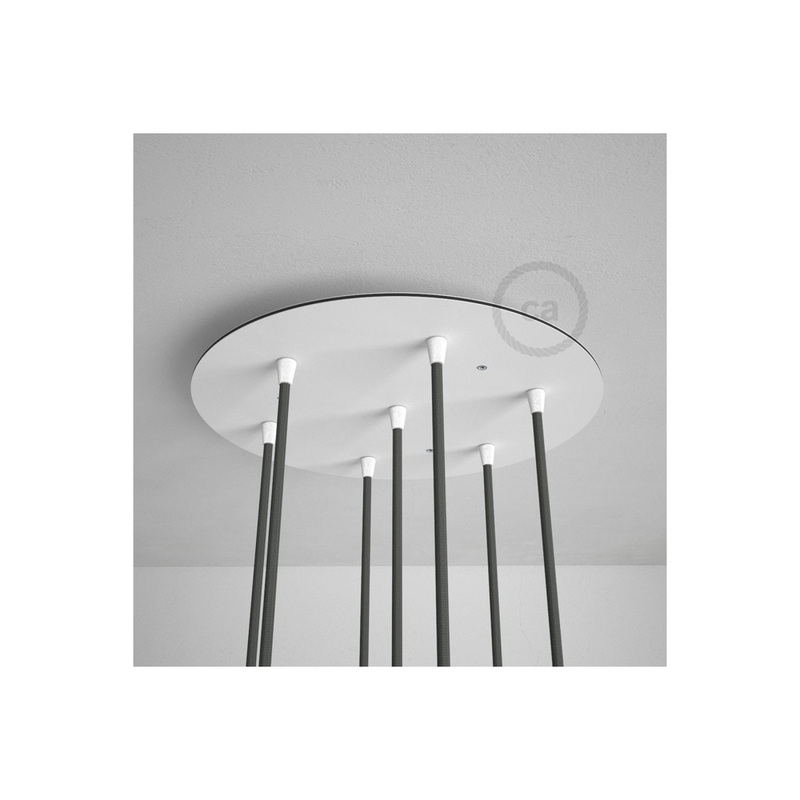 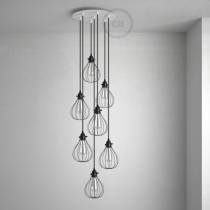 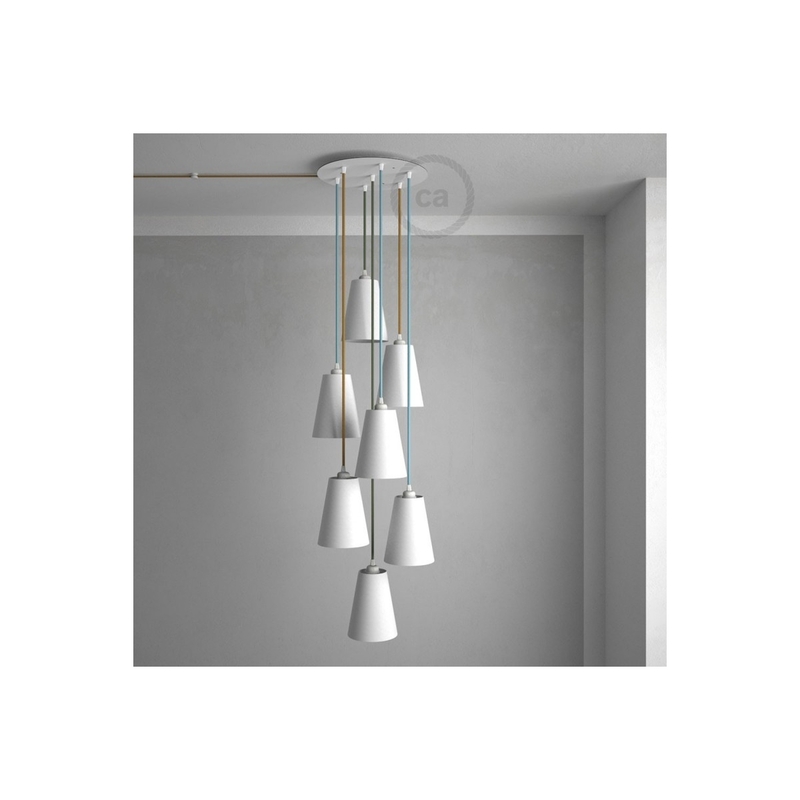 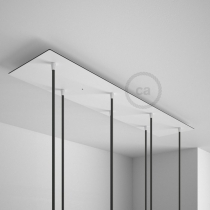 The XXL Ceiling Rose with 7 holes allows you to design your own striking pendant lamps. 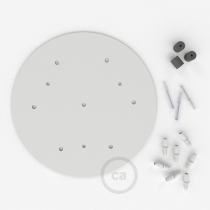 The diameter (35 cm) is wide enough as to allow the right amount of space between each hole. 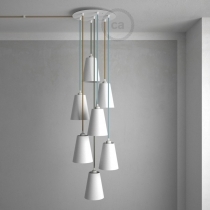 This way, you can match your lamps with the lampshade or bulb cage of your choice.